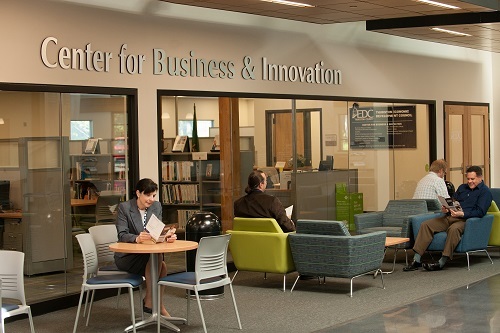 South Puget Sound Community College (SPSCC) today announced the launch of the Growth & Innovation Fund, a joint effort between the SPSCC Foundation and the Center for Business & Innovation (CB&I). The fund gives entrepreneurs access to small business loans and ongoing support. It aims to encourage entrepreneurship in Thurston County and impact job creation and the local economy. Has completed the “Financing a Small Business” workshop through SPSCC Corporate & Continuing Education. The Growth & Innovation Fund complements existing SPSCC and CB&I support programs, including advising consultations, educational workshops to support startups, and a four-course Entrepreneurship Certificate program. Learn more about funding options and requirements on the Growth & Innovation Fund webpage or by contacting the Center for Business & Innovation at 360-464-6045.